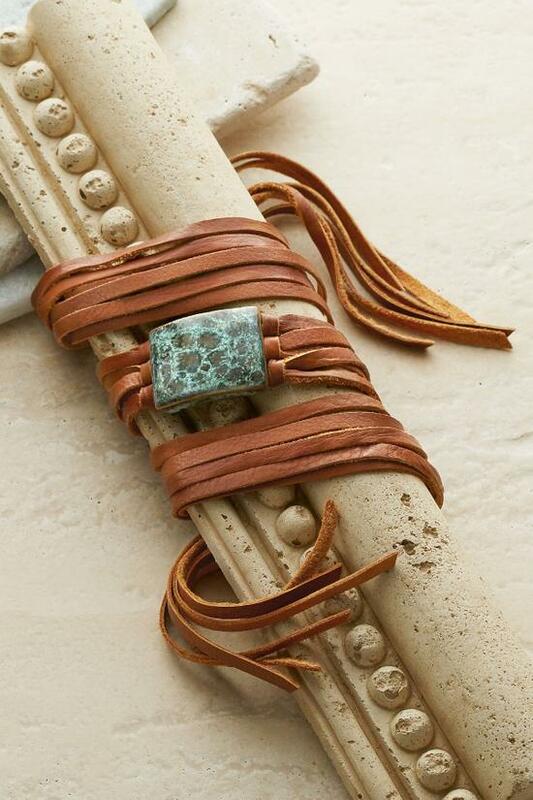 With its rustic glamour and textural contrasts, this versatile wrap bracelet is an equally chic choker, handcrafted with lavishly long leather strands, plus a glazed and polished ceramic stone with the beauty of a semi-precious gem. 34" length. Pendant 1-1/2" length, 1" width.